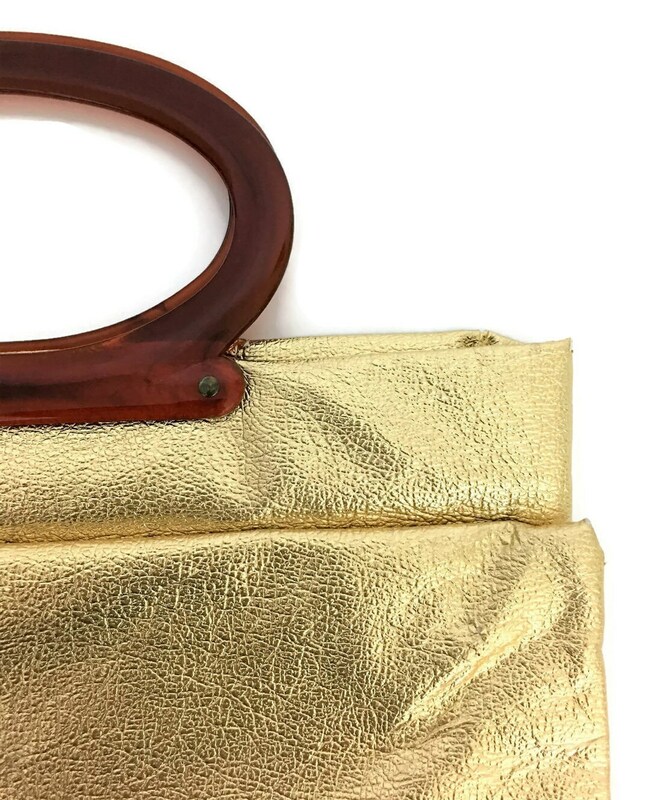 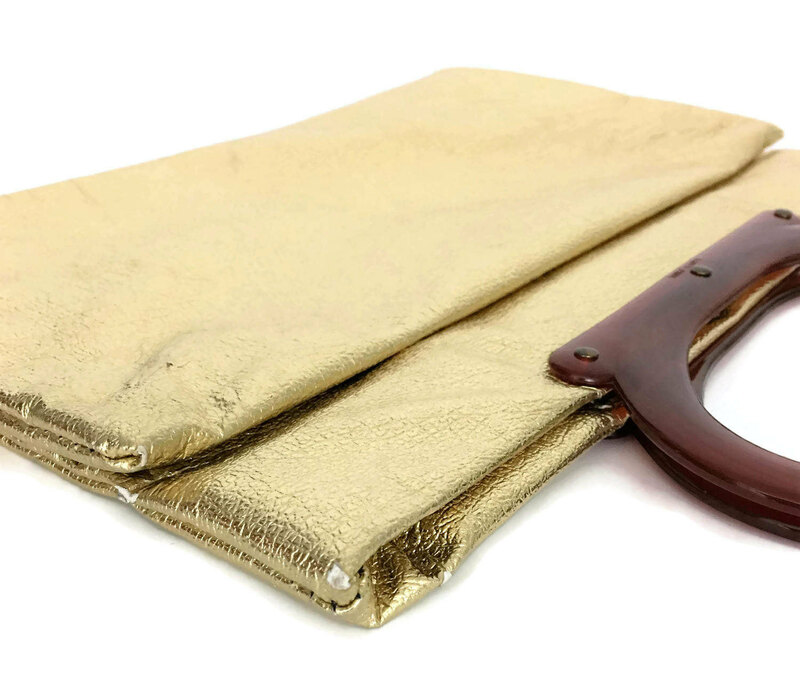 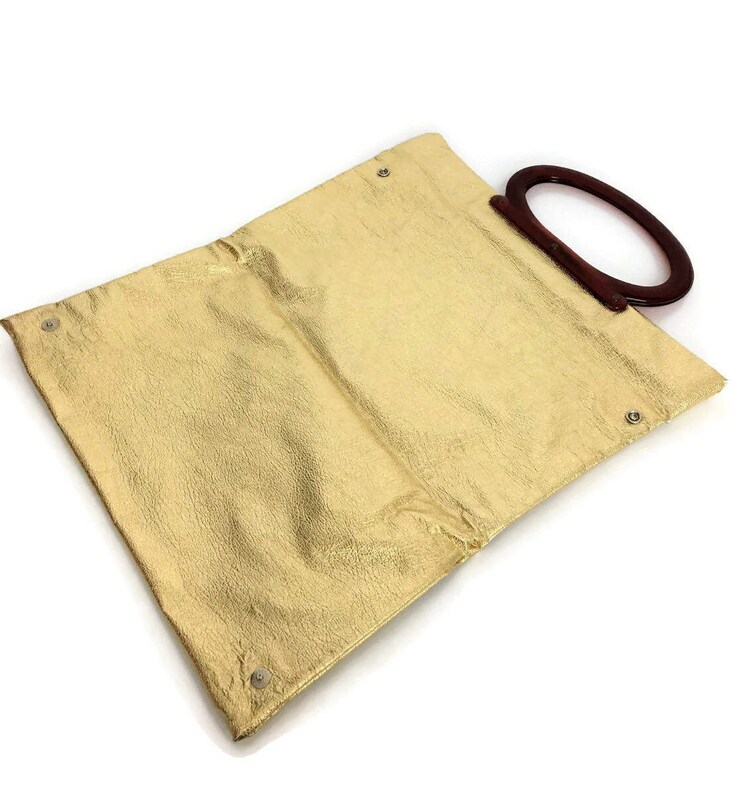 Gorgeous vintage gold lame handbag with an acrylic handle. 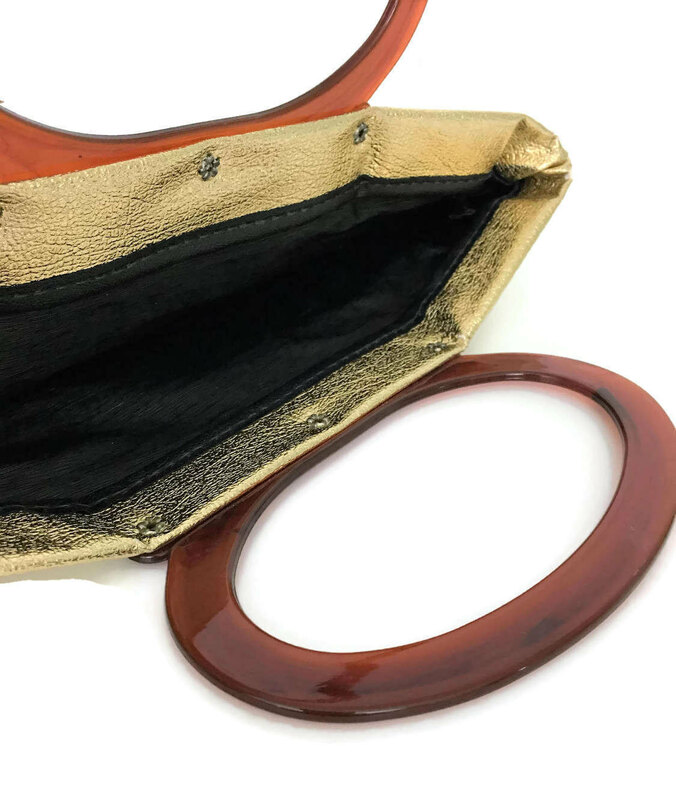 Some wearing on corners, as shown in the last picture above. 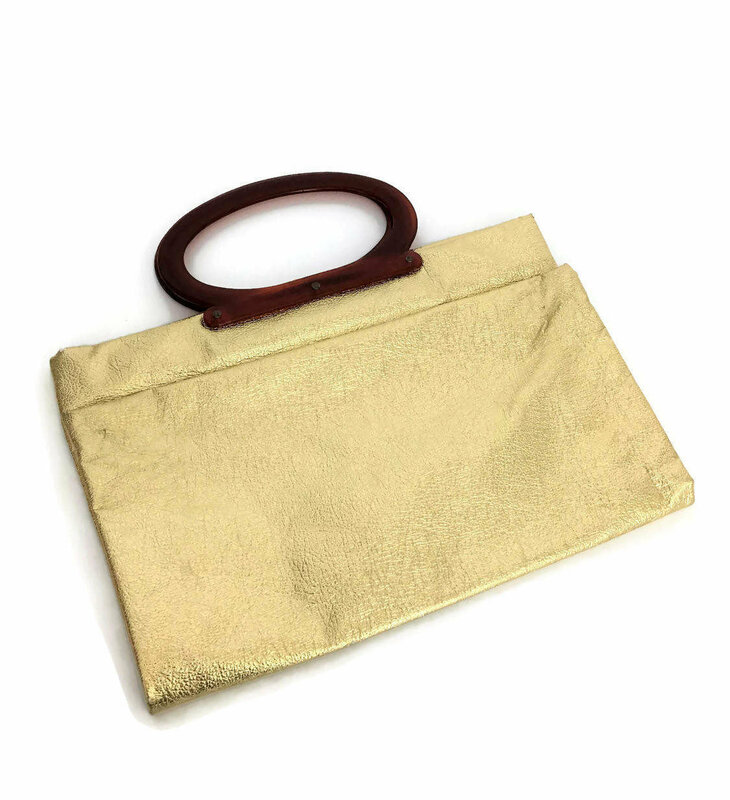 The purse folds and has snap closures. Cool!